2X ORIGINAL SL1200 & SL1210 TURNTABLES DUST COVER LID HINGES. Condition is New. Here's 2 used Genuine Technics hinge for dust cover. An officially made direct replacement for a broken dust cover hinge on a direct drive turntable, the Technics SFATM02N01A1 is suitable for both the SL1200 and (SL1210 mark 2) record decks. It will match the fit and finish of the hi-fi equipment, and give a new lease of life to a damaged piece of DJ equipment. 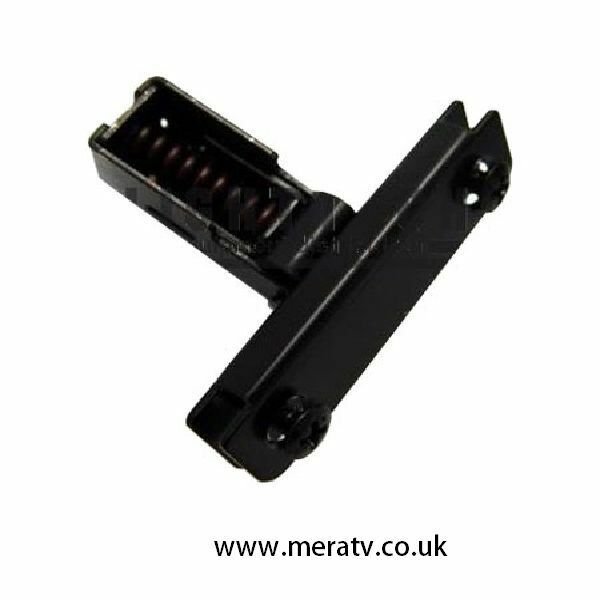 If you have an SL 1200 with a missing or broken hinge, then this item is a must for you. Being a "genuine" item, it looks and works 100% like the real thing! It is fitted by tightening 2 screws, so make sure you have been suitably trained in how to use a screwdriver. I've got an old, very old technics 1210 mkII turntable ... It's been thru the mill over the decades and was in need of some replacement parts. The dust cover was in need of upgrade and the hinges to attach it. These hinges are top class, brands new and a bargain. Grab them, they're worth it. Genuine Spare Technics Hinge part. Official part, so top quality & does what it should. Great item from a great Seller.